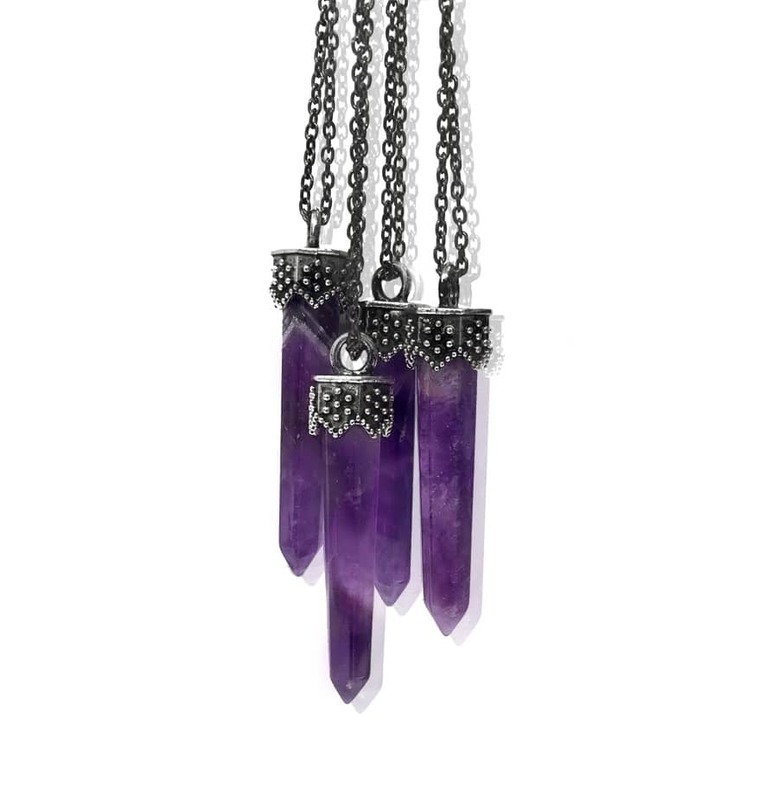 Stunning necklace with a long amethyst spear in dark gun metal chain. Nickle free. 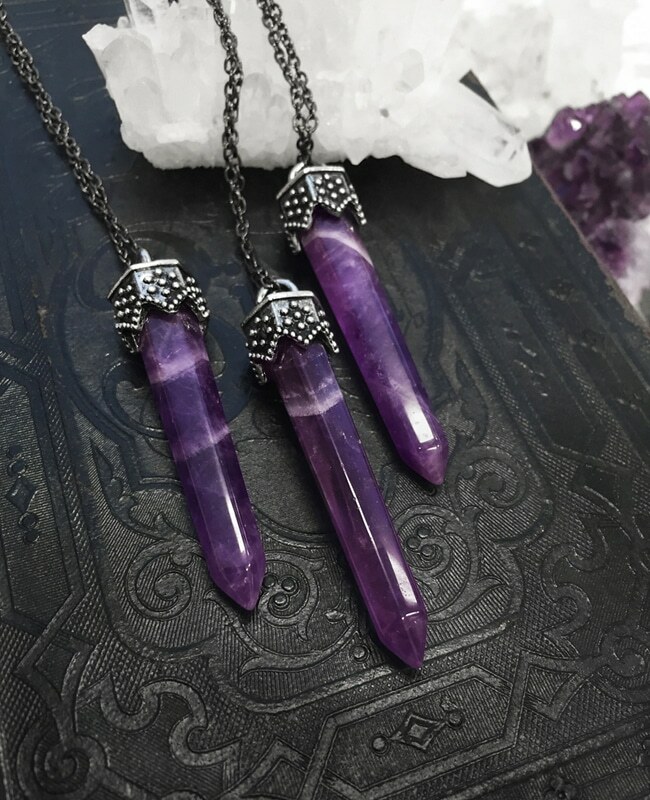 Amethyst crystals are known for their healing properties, helps in relieving stress and increasing calmness, boosts self esteem and increases spiritual and intuitive awareness. It is said to help against insomnia and to bring a peaceful sleep, and to help you overcome your fears and cravings. Delivered packed in a black velvet pouch. 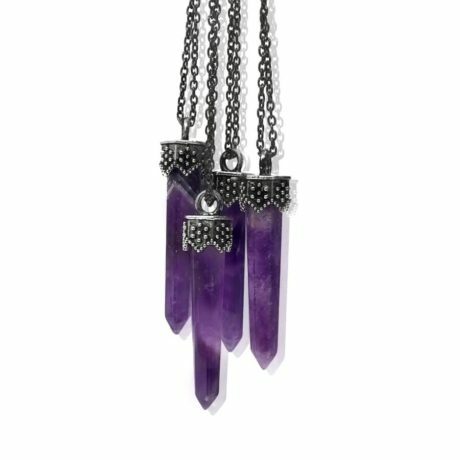 Amethyst pendant size about: 5 x 1 cm. 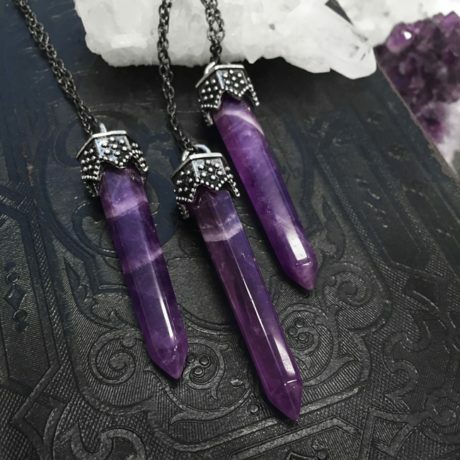 Please note that this a natural gemstone, sizes and colouring might vary as each stone is different and unique.